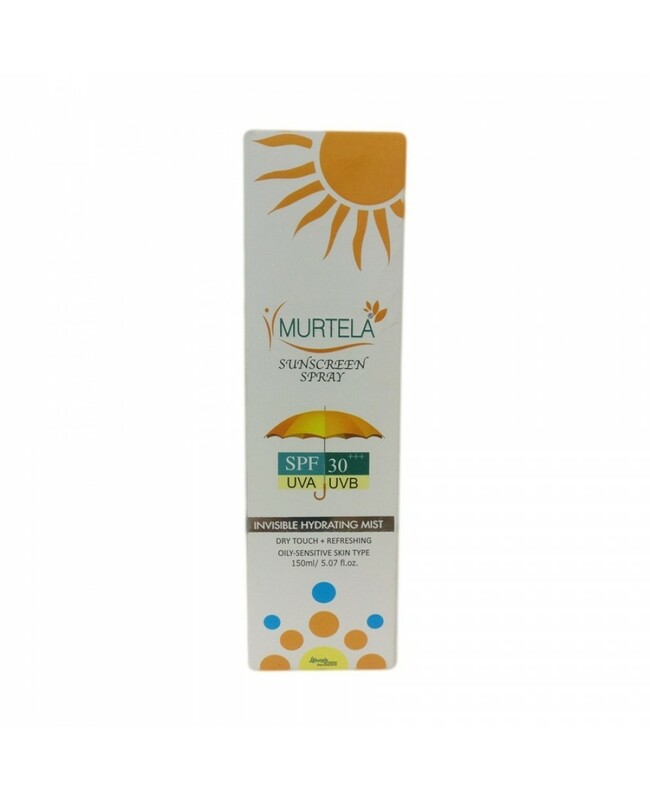 Murtela Sunscreen Spray is an Encapsulated Organic Sunscreen which provides quality sun protection in a unique, water-resistant, oil-free formula. It consists of Nanotechnology emulsion that protects skin from UV-A (Anti-ageing) and UV-B (sunburn) gently. This product is Cosmetically elegant and moisturizing. Also, this spray makes mist forms an invisible uniform layer that provides protection enhancement with Antiageing, Antioxidant and day-long cell hydration. Use your pat dry hand and spray generously with the on neck and face. Apply the Murtela Sunscreen spray 15 minutes before sun exposure to face, neck, and body. This product can contains some ingredients which some skin have sensitivity/allergy to ingredients. So before applying it put small amount in patch on your hand and remove it after 15 mins. Some of the ingredients in the product tend to change color over time. However, the product efficacy remains unchanged.